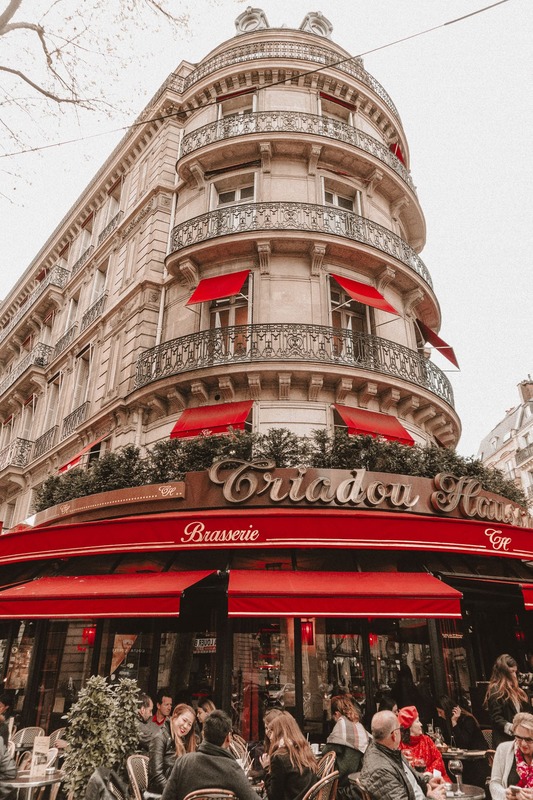 It’s about time I share everyone’s favorite outfit from my Paris trip on the blog! I know some of you miss my good ol’ boho days, so styling a dash of Spell Designs for Paris was a must. 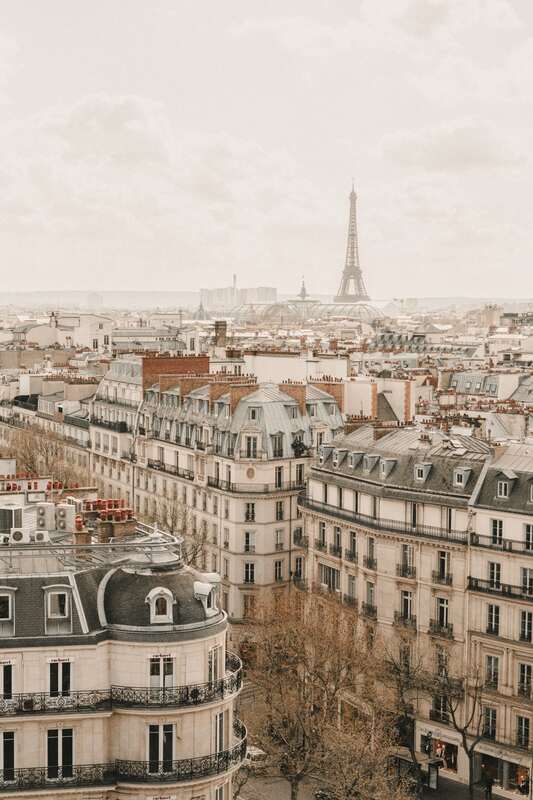 Especially since their collection Blue Skies, set in Paris, was released at the same time! 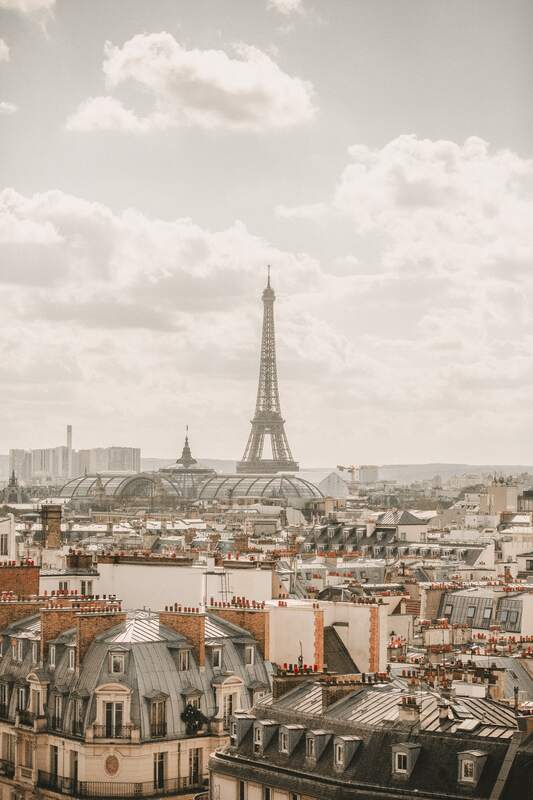 And what better place to shoot this heavenly skirt, than up in the sky above the city at Printemps! 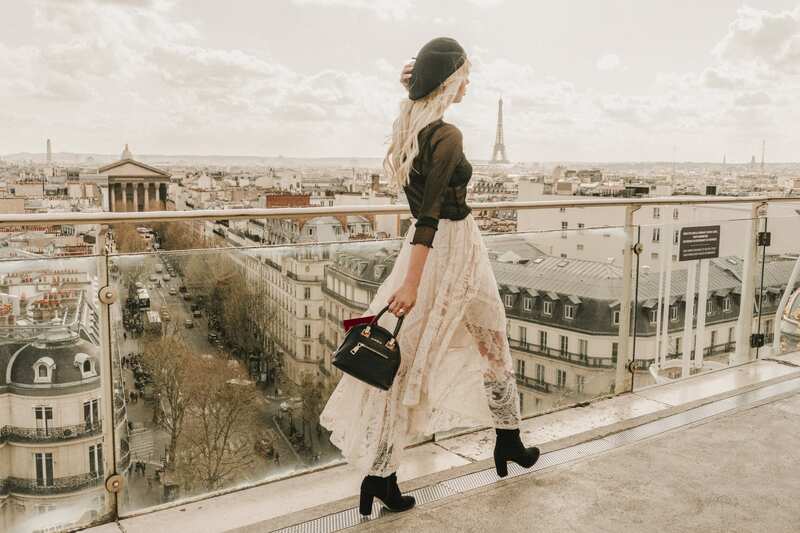 To give my boho look a Parisian twist, I styled the Spell luxe lace skirt with a delicate and fashion forward sheer top- a lace bralette underneath. I was really loving the cream x black color scheme, and found the tall black boots to really pop under the light skirt. These lace-ups with the round toe were one of my go-to boots for Paris. They could be style almost any way, and brought a retro MOD or vintage flair to any look. And of course, I had my tiny Bebe purse full of all my necessities, and topped off the look with a black beret. It was such a fun look to run around Paris in, and I think I got my photo taken by tourists more than the sites around me, haha! 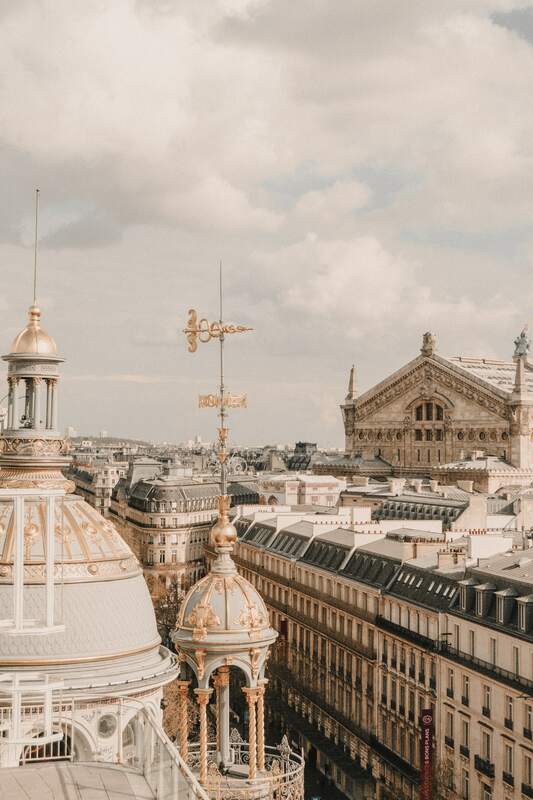 If I love one thing about Paris, it’s that people are really impressed with fashion and will take notice when you stand out. Everywhere I went, I got asked to stand in photos with tourists and Parisians alike. Or they sort of just nonchalantly stopped to take photos of me while I was modeling… I learned to not feel awkward about it, even though it sort of threw off my groove, but just take it as a compliment!! 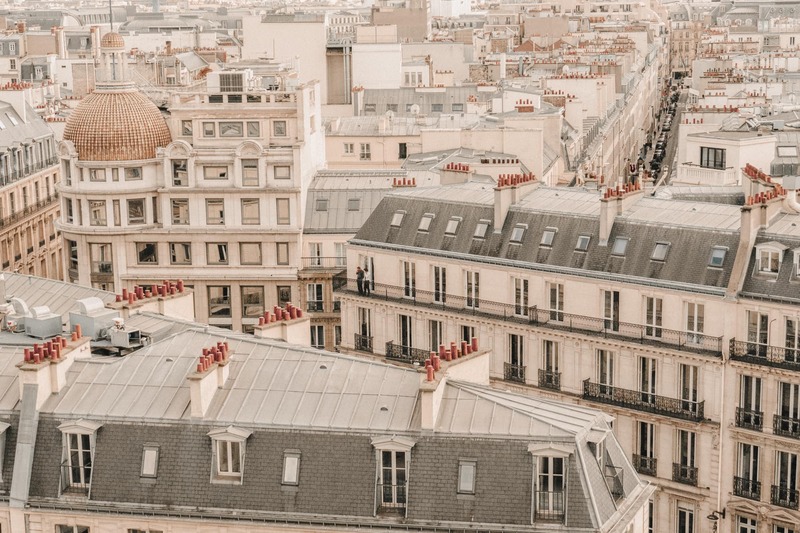 I wanted to get an iconic rooftop view of the city, but not deal with the crowds and long waits at tourist locations like the Eiffel Tower or Arc de Triumphe. 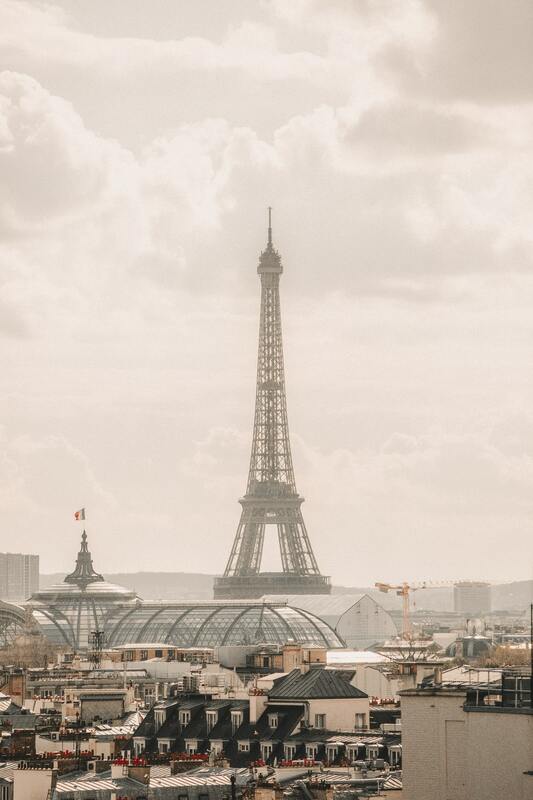 So we scoped out one of the best “secret” spots to grab a bite to eat, sip on a cafe or wine, and catch a panoramic view of Paris. 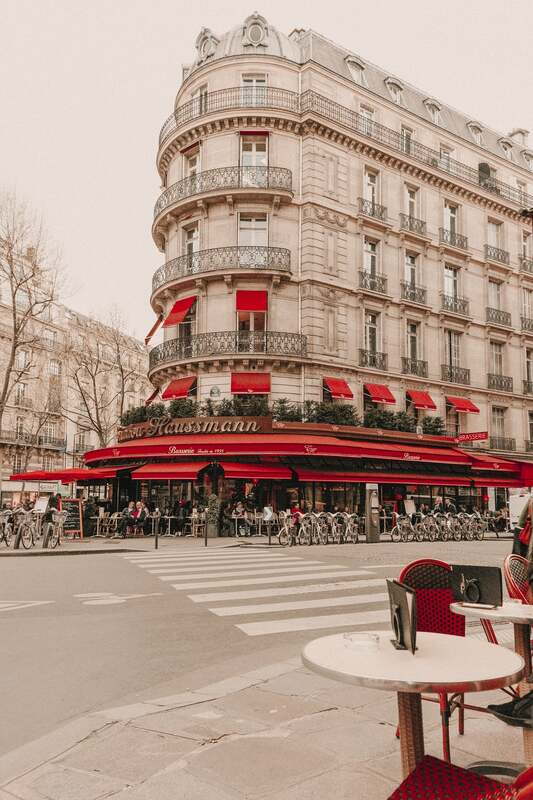 If you didn’t know about the Terrace of the Printemps yet, now you do! Not only do you get to ride an escalator up 9 or so floors passed every designer brand and pretty store displays, but you get to arrive at such an amazing low key spot to relax! And of course, take amazing photos! Afterwards, we descended back down to the busy streets on the hunt for dinner. 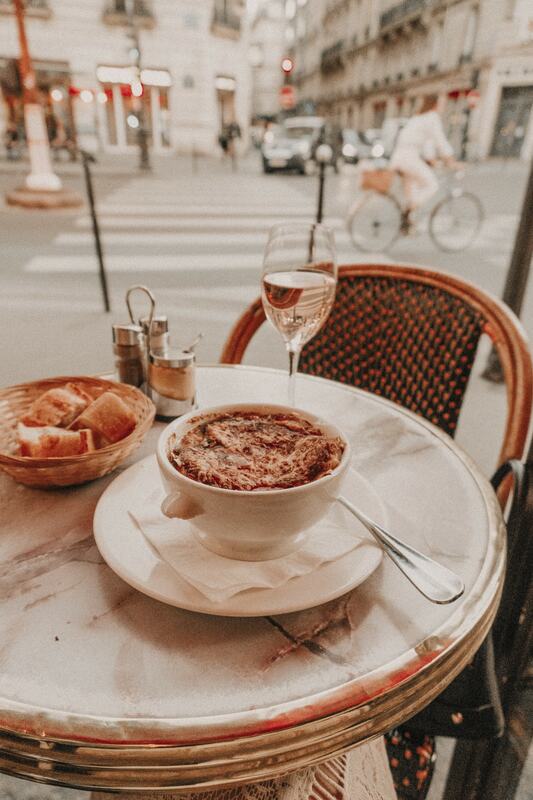 I always felt like there were too many cute cafes and not enough time, so I was pretty picky about which ones we decided on eating at. 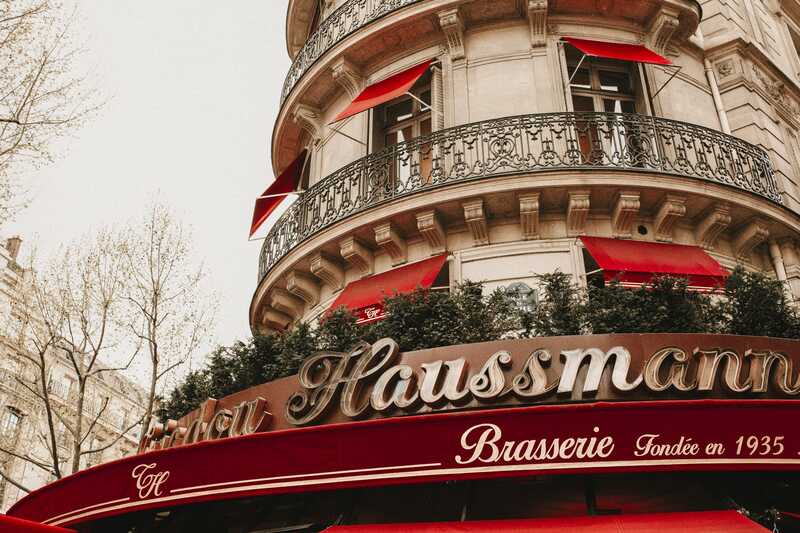 We stumbled upon L’Arcade Haussmann, glowing with warm light from the inside and happy chattering people sitting outside. I decided it was a must, because the vibes were so good. We ordered Tomato Mozarella & Pesto salad, a cheese plate, a big bowl of French Onion Soup for me, and steak and fries for Josh. FYI- steaks in Paris are not really a thing, so they are more often than not, stiff and tough! Be sure you order carefully. Best recommended for an actual tender steak would be the Steak au poivre- which is made with fillet mignon. Otherwise you’ll feel like you’re chowing down on a stiff leather boot…! Honestly, steak in Paris is more so for American tourists, so you might just not even order one at all! 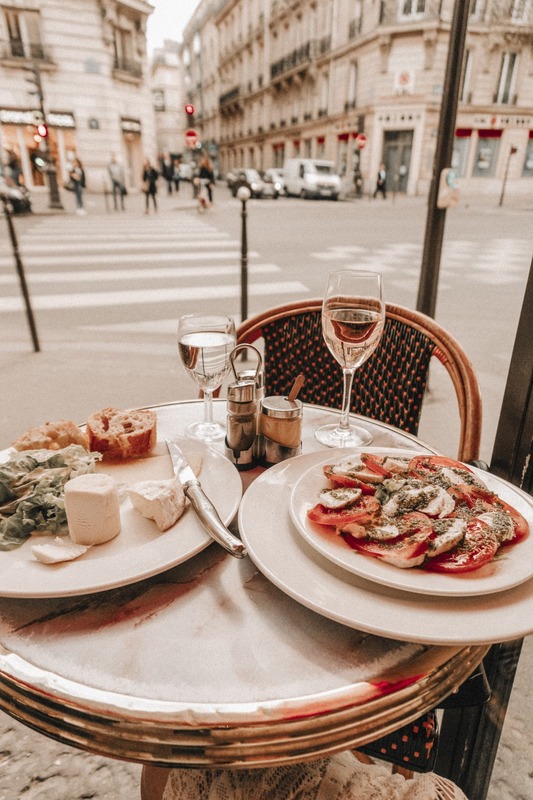 The most common thing in the city is to order wine and cheese. That’s pretty much what they live off of, and we were happy to adapt to that diet! Beautiful post!! 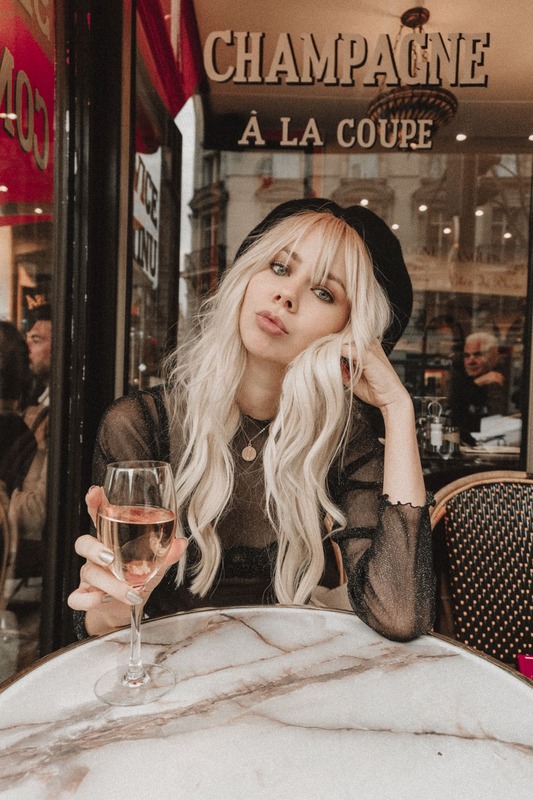 the outfit completely matches with the parisian life.